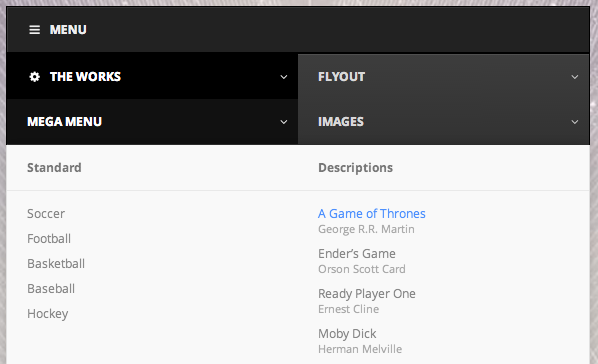 Unlike dual-menu responsive systems, UberMenu uses a single set of menu items that are displayed at all sizes. Using CSS, the menu format adapts to the various device widths to present a quality navigation experience as the viewport resizes. 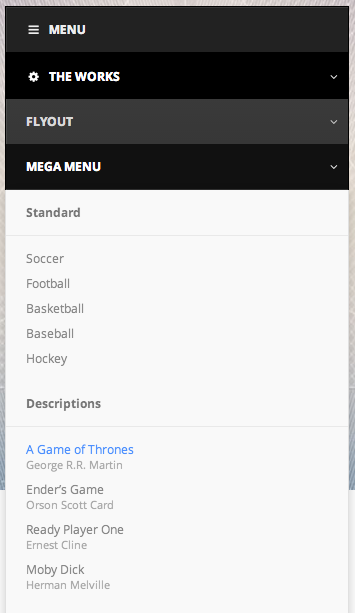 Below 960px, the menu collapses to a single bar that can be clicked/tapped to expand the submenu items. Top level menu items will be laid out from left to right, top to bottom, with two menu items on each row. 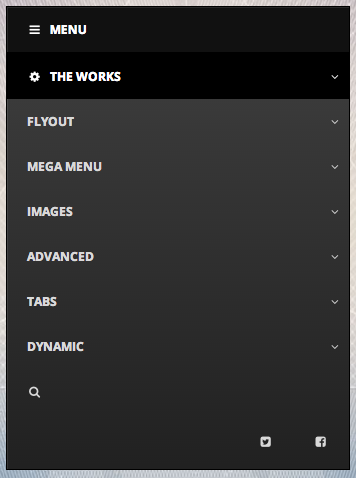 Below 480px, the menu collapses further and top level menu items will each take up an entire row.